We are all sensitive the the effects of electromagnetic fields. Some people are fortunate enough to recognise the effects of an electromagnetic field immediately they enter it. If the electromagnetic field is a strong one, then they might straight away get palpitations, or tingling up the arms, or a darting pain in the scalp, or bone ache in the limbs. They might experience a sudden rise in temprerature, similar to a hot flush. Or they might feel nauseous, have stomach cramps, or get a nose bleed. They might suffer vertigo, dizziness, and a feeling that their life force is draining away, as if it is being sucked into the earth. Perhaps a little like you might imagine dying to be. Other people might not experience any of these electromagnetic sensitivity symptoms in such a dramatic way. However, people do indeed still suffer ill health because of electromagnetic vibrations and radiation when they are exposed to these conditions over a period of time. People who live close to strong power sources such as cell phone towers, electrical high tension wires, and radio and television transmitters, or who use cell phones a lot, or who work in highly intense, electrically charged environments, will be seriously undermining their health, in the short term and the long term. It is well known that a higher electrical force is cabable of interfering with the current of a less potent electrical force. This has been illustrated for me with two electrical appliances, my cell phone versus my CD player: When a text was received on the phone, which was on the charger, sitting near the CD player, this caused the CD player, which was playing a disc, to malfunction. It would not play, and had to be reset for the disc to play. Another text came in, and the same thing happened. The CD lost its train of thought and could not sustain the energy to play the CD. It is the same with your own sensitive electromagnetic field, your aura – whenever you come into contact with an electrical force which is stronger than your own electrical currents, your aura will be undermined. This is one major cause of memory loss and depression, as well as physical sickness such as candida, cancer and arthritis, multiple sclerosis, and other disease. In Chinese medicine, the weakening of the auric body is equated to loss of Qi. or CHI. Qi is the vital force within us which gives us life, vitality, and optimism. Healthy Qi levels keep us from getting sick. Henry McGrath has written a book entitled ‘Traditional Chinese Medicine: Approaches to Cancer’. This is published by Singing Dragon, of London and Philadelphia. Author Henry McGrath mentions a study done in Japan, where it was found that electromagnetic disturbance had increased the chances of children getting leukaemia. He also mentions that cell phone usage has led to brain tumours. In another study, in 1929, Gustav Freiherr von Pohl linked the 42 cancer patients in the town of Vilbisburg to negative energies caused by electromagnetic forces which came from underground water courses and natural stress lines in the earth. He found that all the cancer patients lived within close proximity to electromagnetic forces. Candida Can Cause Memory Loss: Too often people say that the cause of memory loss is a genetic thing, especially when it is related to Alzheimer’s disease and other types of dementia. But while we accept that some people have a propensity for afflictions of the brain, and memory loss, as with cancer and other degenerative diseases, much can be done, in my experience, to avoid or avert these conditions in most people, even when there is a genetic weakness. A weakened immune system can result in candida, which can cause memory loss. It is easy to cure candida: The main thing is to starve it of the foods it thrives on, and avoid all those environmental contaminants which encourage it. Periods of detoxification, as in fasting on raw foods, castor oil occasionally, an alkaline diet, avoidance of all toxic herbicides, pesticides and other substances, and a healthy environment is the way to recover your health and naturally improve your memory. Heavy metal poisoning, asbestos, addiction to alcohol and other drugs, vaccinations and some medications, as well as agricultural chemicals such as RoundUp’s glyphosate, all have the potential to weaken the immune system and incline people to candida infection. Any of these things, given enough exposure, tend to upset the functioning of the bowel flora, and kill off the very organisms which are there to help digest our food and protect us from sickness. One incident which caused severe memory loss, and a near physical breakdown, was the poisoning which occurred after I cleared a property of asbestos and toxic ash after a fire. 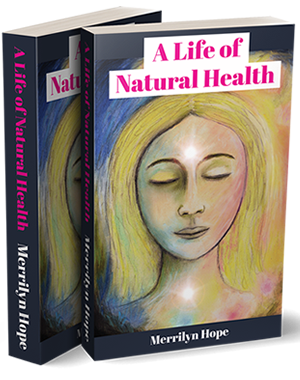 I began to collapse with heavy metals, formaldehyde, and asbestos dust poisoning my system. Lead is one heavy metal which is known to severely affect nervous system, brain function and memory, and combined with all the other poisons in this toxic ash, it very nearly caused my death. I guessed that if I wasn’t to die of heavy metal poisoning, then I might die of candida. Candida took over my digestive system to the extent that eating a grain of sugar, or a drop of fruit juice caused an immediate visible reaction in the mouth, which became white with thrush. As long as I did not eat anything which fed the organism, then I was OK. But there was very little food which was safe during this time. Raw lettuce, for instance, was no good, as there are multiple little organisms on lettuce which cause the lettuce to decompose fairly quickly. As my immune system was so incredibly weakened, I had no resistance to the yeasts on lettuce, or the sugars in sweet vegetables such as carrots, or apples, which caused immediate candida overgrowth. It took a very long while to rid myself of the poisons which were making me ill, and to build up resistance again, but I managed a recovery with castor oil, and a diet which allowed only raw celery and tuna fish in oil, and calcium ascorbate vitamin C. I followed this regime religiously for six months, after which time I was able to eat cooked vegetables again. After this initial healing period, I still had to follow a strict modified diet using both cooked and raw vegetables, tuna fish in oil, and continue to use castor oil for cleansing at least once a week. Gradually, memory and physical health was restored. Seven years after this, the oppressive effect of Saturn was upon me again. I suffered a period of chronic depression, probably related to the asbestos, lead, mercury poisoning, as well as my children leaving home. This time I became addicted to alcohol. Candida loves alcohol. After three years of drinking and isolation, I had virtually no memory, had forgotten how to speak in coherent sentences, could not recognize familiar faces or voices, and had forgotten how to perform many simple tasks. It was imperative that I stop drinking. I joined the local Alcoholic Anonymous group, and began to pay attention to diet, intellectual, and social factors. It took one year for the nervous tremors to stop, and several more years for memory, speech and eyesight to recover normal function. It is probable that vaccinations in childhood play a part in people’s immunity being low and too readily succumbing to candida and other infections throughout life. I believe that childhood vaccinations, as well as flu vaccinations, could also be one cause of mental deterioration and memory loss in less than old people because of their influence on the digestive and immune systems. My generation was the recipient of numerous nationwide school vaccinations and innocculations in the 1950’s and 1960’s. It is no wonder, to me, that so many of my peers have died so young of cancer, and heart and breathing problems, addictions, and that most of us still living have chronic short-term memory loss. Avoid Exposure To Radiation And Electromagnetic Energies: As stated in the article entitled ‘Improve Your Eyesight Naturally, electromagnetic radiation from cell phone towers, ‘smart’ electricity meters, and electricity transformers, can harm brain function very dramatically. These vibrations and radiations affect the central nervous system, which runs on its own series of electrical impulses. The nervous system’s energy circuit is very sensitive to the stronger rays from things like cell phone towers and electricity meter boxes, and the result of prolonged exposure is that the organs suffer. The brain, eyes, ears and heart, which are all connected to the nervous system, are especially vulnerable to these toxic energies. These radiations and electromagnetic fields can also cause candida, as they have the ability to kill off the ‘good’ bacteria in the bowel, to the advantage of the ‘bad’ bacteria and other parasites. Important: If you feel at all unwell whilst you try this anti-candida diet, then quit the diet and go back to see your health adviser. However, it can be rather trying at the beginning of the diet, as the candida yeast will demand those sugars and foods which feed it, especially when you are starving it of these items. If you can resist the temptation to eat those foods which candida loves, then after a week or so on the diet, your candida infection should be more or less under control. The best way to combat candida and rebuild your immune system is to starve it of all sugars for a while. This means adopting a very radical approach which involves more than being gluten-free. You need to cut out all wheat flour products – no bread,cake or pastries, as these are all converted to sugar too quickly: wheat flour, and many other flours, can cause the candida to thrive whilst your immune system is poorly functioning. Cut out sweets, including all sweet drinks, juices, fruit and honey for a time. Dairy products are also best avoided; the lactose in milk, including soy milk, also feeds candida. All leafy greens are just great, as are most vegetables, but cut down on those potatoes and kumara, or sweet potato, and carrots for a while, as these carbohydrates are converted to sugar very quickly in the digestive system, and this gives the candida plenty to thrive on. Brown rice is generally good; however, if your condition is chronic, then you will need to exclude all grains until you improve. Taking olive oil, rice bran oil or some other good quality cooking oil with your brown rice, and poured over your salads and cooked greens, helps slow down the process of sugar conversion in the body: it is nourishing, and inhibits the candida, because candida doesn’t like oils. Taking garlic with your brown rice and oil also helps inhibit candida overgrowth. Use garlic and oil at every meal until you are better. Even after you are better, good oils,garlic, brown rice, salads, and cooked greens should form the bulk of the diet to avoid getting a candida imbalance which causes memory loss. Protein and Vegetable Oils: A protein-rich diet, and the use of good quality oils such as virgin olive oil, is very effective in combating candida infection. Candida does not thrive in protein-rich diets, and vegetable oils. You must have adequate protein in the diet – candida sufferers are often on vegetarian or low-protein diets where grains are used to substitute real protein. Try to eat protein at every meal. Oily types of fish are just the very best – salmon, mullet, sardines, tuna, but free range eggs, almonds, free range chicken and beef, are all good sources. Nuts are sometimes best left until you begin to recover, but you can experiment with these after you have given yourself a week or so without, to see what their effect is. Once you have followed this anti-candida diet for a few days, you can recognize what foods are best to avoid when you try them again, as you usually get symptoms of candida fairly soon after eating them. Avoid taking protein foods such as soy bean tofu, soy bean miso, and cheese, as these are all fermented foods which encourage candida. Eat salad foods at every meal. Celery is very effective in helping to combat candida, as it has plenty of roughage to cleanse the bowel. It is a very alkaline food which makes for a healthy body and immune system. It also has an antiseptic effect which inhibits candida and other bacteria. Celery is a great cleanser and helps to build healthy blood, whilst being excellent for the brain. Sprouts are a great food, but you have to be careful with these as yeast begins to grow on the sprouts while they are germinating: they must be washed well – I think these are best left out until you have recovered somewhat. Lettuce must also be washed well. Avoid tomatoes for a while – they are just too sweet. Avocado is best avoided for the first few few weeks until you have strengthened your immune system, as they begin to ferment very quickly and therefore feed the candida if they are overripe. The other thing which you must starve the candida of is any food or drink which contains YEAST. Candida is a yeast, and it gets a huge boost when you feed it things like alcohol, or vinegar, or sauces, or even vegetarian products like soy bean miso, tofu,or soy sauce: all these are fermented. Just a taste of another yeast really sets off the candida growing again. Mushrooms need to be avoided, as the yeast on mushrooms encourages candida overgrowth in your intestines. If you suspect that candida albicans might be the cause of your memory loss, then the above suggestions should be helpful. Remember to eat enough while you are on this diet. There is absolutely no need to go hungry. Have a salad ready, maybe with boiled eggs or fish added to it, and some brown rice, already cooked, which you have put in the fridge. You can snack on these super healthy foods, throw a few almonds in with cooked broccoli or spinach, throw on a bit of olive oil, a taste of garlic, and you are ready to go. Avoiding all yeast foods and sugars will help your memory loss if candida, or sluggish bowels, is the problem. The bulk of salad foods, cooked greens and brown rice which you eat with your protein will provide good roughage to get your bowels clear of effete matter, get them functioning normally again and provide the very best nutrients to feed your body and your brain. Calcium Ascorbate, or Ester C are the non-acidic Vitamin C types you should look for in treating candida. These are the most effective of all available supplements which counteract candida albicans, and thus they are helpful in restoring your memory. They also help keep an alkaline state in the body which is another important factor in treating candida. Do not use the ordinary, sour tasting Vitamin C, as this does not help candida, but actually feeds it. Calcium ascorbate in doses of 1000mg can be taken once, or twice, or even three times a day to combat candida and help your memory grow strong. Cut the dose back after a few days, once the bowels have been cleared. Epsom Salts For Magnesium: This is very helpful in clearing out the bowel of toxins. The extra magnesium can also boost your brain function. Take a dose several times a week, or as needed. Bowel Cleanse or Colonic Cleanse: It is a good idea to go to a colonic clinic to get this professionally done at first. After that, you can learn how to use an enema so that you can clean out your system regularly. This is especially important in the beginning of treatment, when toxins will be released from the liver because of the healthy change of diet you have implemented. Washing out the colon is an important measure to take in getting rid of all the gunk in your bowel: keeping the bowel clean is a priority in helping to build a good memory. Candida does affect very many people, and most people, given the quantity of processed food which we all consume, have sluggish and clogged bowels. These things are probably the most common causes of memory loss, so the above dietary and cleansing suggestions really are worth a try. Emotional exhaustion, lack of sleep, anxiety, and depression: these can all contribute to a state of memory loss. Good nutrition, such as the basic wheatless anti-candida diet outlined above, should help most people with these conditions. Also, Yoga Nidra, deep relaxation and yoga breathing are useful in minimizing these negative mental states. See the chapter at the end of the book on how to practice Yoga Nidra. Radiation from cell phone towers, cell phone use, electrical transformers which are too close to your house, overhead power lines near your house, radio transmitters, even TV aerials above your sleeping space, can all affect your memory and your nervous system generally. Having a radio close to your head at night will interfere with your brain patterns and affect your memory: I read once that Paul Simon won’t sleep with a radio or a TV anywhere near his bedroom, even if it they are not going. He recognizes the negative effect radio and TV waves have on the brain and memory function. Alcohol and marijuana addiction: the effect of both these drugs is well known to be deleterious to the physical health, and to the mental health. Marijuana has a potent weakening effect on memory. Allergy to denture plastic or acrylic: Many people are sensitive to plastic materials: these materials, which are prolific in our environment, are one major cause of memory loss in my experience. Unfortunately, many people wear plastic in their mouths, in the fabric of their denture. This plastic starts to break down after a couple of years or so, and chemicals from the plastic denture are absorbed into the body. This affects the brain and is one of the probable causes of memory loss in people who have dentures. Also, candida yeasts and other bacteria can thrive in the denture plastic, especially when it becomes older, and these bacteria also cause memory loss. Read the article on Dentures which appears just before this article. Lack of certain essential elements in the diet such as iron, B vitamins, niacin, pantothenic acid, biotin, Vitamin A,Vitamin D, Vitamin E, Vitamin C, iodine, silica, manganese, selenium to name a few of the important ones. These are all essential to keeping a well functioning memory and a healthy brain. COSMETIC: The roots of your natural teeth are embedded well down into the gums of the jaw. When your teeth are removed, the natural shape of the mouth is undermined, as this causes the gum line to become eroded; imagine it being more or less mined, by the digging out of the natural teeth. The denture gives you teeth replacements, but it cannot possibly repair or fill out the damage done to the natural shape of the mouth and jaw once your teeth have been removed. Your appearance is changed forever once you have your teeth out; that is, unless you can afford expensive dental implants and jaw reconstruction. Even keeping old roots in the gums helps prevent your face changing shape and it developing that sunken look which is characteristic of one who has dentures.. Unless the roots of broken teeth are causing you health problems, then it is really better to leave them there. CHEWING with your own teeth is far more effective than chewing with dentures – assuming you have enough of your own teeth left to do the job. Dentures, if they are made by an artful dental technician, can work surprisingly well, but never as well as your own teeth, because the bottom plate is not fixed to your jaw and does not have anything to hold it there. Consequently, it can move around, even as you are eating, or worse, while you are simply talking to people, which proves to be very embarrassing. It is possible to get tooth implants on either side of the lower jaw, for the purpose of holding down the plate. But if you think about it, instead of dental implants, then it might be best to keep a few of the original back teeth in the first place, so that these could be used for anchoring the plate. No one advised me about these things when I got my teeth removed. These notes are all from personal experience !!! ALLERGY to modern denture-making materials is the worst aspect of having dentures in my experience. DENTURES WITHHOLDING TOXINS is another issue. These two things are inter-related: I find that the very best materials have a life of only about three years. After about three years of wearing a new plate I begin to notice that my memory has become very bad. It continues to worsen over the next year or so, but by then I am beginning to feel quite ill for a lot of the time. My immune function becomes weaker, I suffer candida throughout the whole digestive system beginning with the mouth, my eyesight becomes poor, my nervous system is shot, and my skin begins to suffer from eczema. I feel very depressed. Then I usually cotton on to the fact that it is the plastic in the denture which is breaking down and making me feel so bad, as I can taste the plastic, like apoxy resin, or formaldehyde, in my mouth all the time. Then I remember that this is EXACTLY what happened three or four years ago before I got the new dentures – and, YES -the time has passed very quickly, as I have had these teeth for all of three or four years, the same life which the previous teeth had.Then I do an experiment whereby I leave the teeth out for a few days. Like magic, my memory begins to perform quite a lot better, and I stop feeling sick. Putting the teeth back in brings back all the old symptoms, and by now it is quite obvious that the teeth are the cause of all the problems, as I have begun to feel normal, both mentally and physically, without the teeth. After doing without the teeth, I cannot stand their effect any longer, and I have to simply go without the teeth until the new ones are made up for me. My wonderful dental technician is fairly sure that if I had the old teeth relined after two years or so, then this problem would not occur. He is convinced that the reason my health declines so badly is because of bacteria which get into the plastic once it begins to pit after a few years. However, knowing about my sensitivity to formaldehyde and plastics, etc, I am not convinced, and so I have gotten brand new teeth made each time, just to make sure. I have found a new dental technician who has made just the greatest teeth for me using porcelain teeth to minimize the effect of having too much plastic in my mouth. But years before meeting my new dental technician, I went to a man who made up new teeth very cheaply: the plastic in these dentures caused panic attacks and all kinds of ill health immediately from the moment I began wearing them. The actual teeth of these dentures was plastic as well as the plate. They tasted of plastic all the time. Now, after having experienced ill-health with several different dentures over a period of about twenty years, I know that the plastic in those dentures was the cause of a sudden decline in health, especially mentally, which occurred once I began wearing that set of new dentures. I think that the old kind of plastic which was used in denture making in war time was harder and more durable than modern denture-making materials. My father still has the same set he was issued with in 1942. He has a fantastic memory. This type of plastic doesn’t break down as quickly as what the softer modern materials used by dental technicians today do: they use these softer materials because they are easier to work with, and they probably get a better fit with the newer materials; but I think the bad effect of these plastics and acrylics on people’s health has yet to be determined. A condition similar to alzheimer’s affects me after several years of wearing a product made with these new plastics/acrylics. One plastic, as already mentioned, caused memory loss and anxiety right from the moment I began wearing it. I wonder how many people suffering alzheimer’s might have dentures made with modern plastics/acrylics?- Of course, it won’t be the sole contributing factor in the occurrence of this disease , but I think that research in this area definitely needs to be done. VITAMIN C has a damaging effect on dentures. Megadoses of Vitamin C, whilst being good for the purpose of detoxifying the body, actually cause the plastic of your denture to erode and break down more quickly than otherwise, and this will mean that you are unknowingly ingesting particles of plastic along with the Vitamin C. If you need to take Vitamin C, then it is best to take it with the dentures removed, or to swallow a tablet quickly with a glass of water rather than let it sit in the mouth where it will interact with the plastic of your teeth. Many other strong vitamins, minerals and herbal products cause this effect to denture plastic; or they are retained in the denture plastic for a period after dosage. DENTURE CLEANER is another thing which can cause health problems. Even after having brand new dentures fitted this time I began to feel dizzy and unwell after a few days: I had been recommended a denture cleaner, and thought that regular use of this product might keep the bacteria at bay and therefore give more life to the teeth. But, again, these modern plastics/acrylics have the ability to attract and hold poisons, including the chemicals in denture cleaner. Once I realized where the source of the problem lay, more or less after I recognized the taste of the cleaner remaining on the teeth even after using copious amounts of water to flush the teeth, I stopped using the product: but it took about a month before the dentures were clear of these chemicals. I found that ordinary baking soda toothpaste made for people with their own teeth worked well: there is nothing harmful in the baking soda toothpaste, which I used, for the denture plastic to absorb. I decided, against professional advice and marketing ploys on telly, which tell you that this type of toothpaste scratches your dentures, making pits where germs can breed, that I would just have to risk using normal baking soda toothpaste and “the pits” rather than use a specific denture-cleaning product whose chemicals were obviously poisoning me. MAF, in Auckland, New Zealand, carried out a huge aerial spraying programme over Auckland city several years ago. This was, ostensibly, to get rid of the ‘apple moth’ which we were told, via ads in our letter boxes and newspapers, was a risk to the pine trees which are grown here en mass by multi-million dollar overseas companies. (and therein lies another story – much of the profit goes overseas, for a start, but growing pine trees en mass is bad for our precious soil: the practice causes mass erosion, and it affects the rainfall in an area, since pine trees repel water; so planting them in other countries and locations where they do not belong, where there is a rainfall considerably higher than where they come from thus has an effect on climate, generally) Just how MAF and our government expected to rid the place of a moth by spraying a whole city is beyond me – many of us feel that there was some ulterior motive behind this weird spraying programme. Back to the story: every time the aerial spraying was done, many people reported detrimental effects to their health. These reports were generally referred back to the special MAF doctors and advisers, which was useless, as they had every-which-way reason to tell you that the spray wasn’t making you sick at all. You were ‘screened’ – had you ever had a problem with alcohol? – any mental illness in the family? – do you suffer from depression? -do you have allergies? – the implication was that these factors were the reason you were ill again, nothing to do with the apple moth aerial spraying. And it was no use writing letters to our one and only newspaper in Auckland: they were running the huge, expensive, full page ads for MAF which portrayed the spraying programme as being helpful to us and the community at large: they refused point blank to publish anything which argued that the spray was detrimental to our health. A few weeks, earlier in the programme, the newspaper published a few letters, then suddenly said that the matter was ended and no more letters would be published. So it was difficult to prove publicly that the apple moth spraying programme was affecting our health, because we had no voice. In the end, the Victoria University of Wellington’s medical school proved conclusively that the spray was damaging the health of people in Auckland, and it was stopped immediately at this point: But this was years after much spraying abuse had been suffered by many, many people. Thank God for the Victoria University of Wellington. I began to suspect during this time that dentures retain toxins: I could taste the spray chemicals in the teeth, and no amount of cleaning or soaking in any product would remove these poisons. I was being poisoned continually by the MAF spraying programme to eradicate the apple moth: not only were MAF helicopters and aeroplanes spraying us about every three weeks during parts of the year, but the toxins were being retained in the plastic fabric of the teeth after each spraying. I became VERY ill during this time, both physically and mentally. I was not treated for a mental disturbance, but my memory packed up, my eyesight became blurred, my nerves were extremely fragile and I became very neurotic. In the end, I had to do away with the teeth. As soon as I had done this, and left the city to avoid the spray completely, my health radically improved: I could remember again. I had new teeth made up for me. Gradually, my health was restored to normal. Best to keep your own teeth if you possibly can.